View More In Photo Album Accessories. 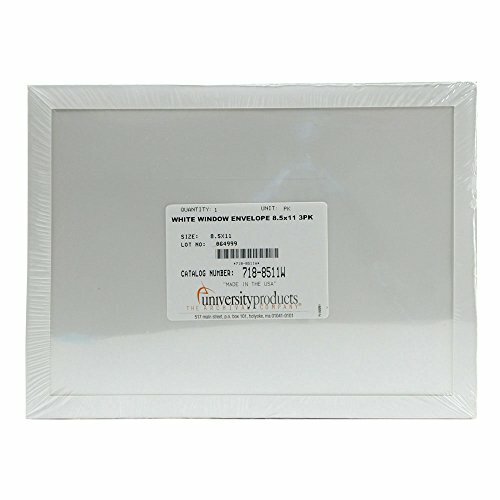 This 3 pack of Window Envelopes by Lineco feature an acid-free Bright White border and an archival polyester window to protect your prints. Each envelope holds an 8.5 by 11.5 inch print and keeps it clean from dirt, dust and fingerprints. The 1/2 inch border frames the image inside, while the side seam construction allows you to stack or file evenly. The non-adhesive flap includes an insert tab to secure it shut.